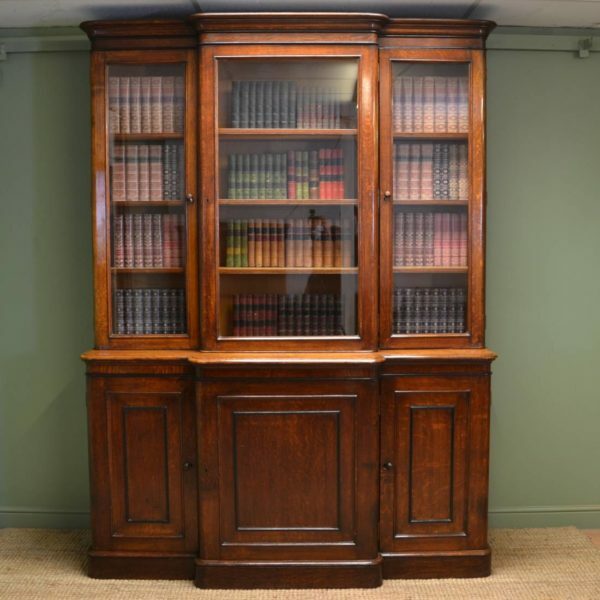 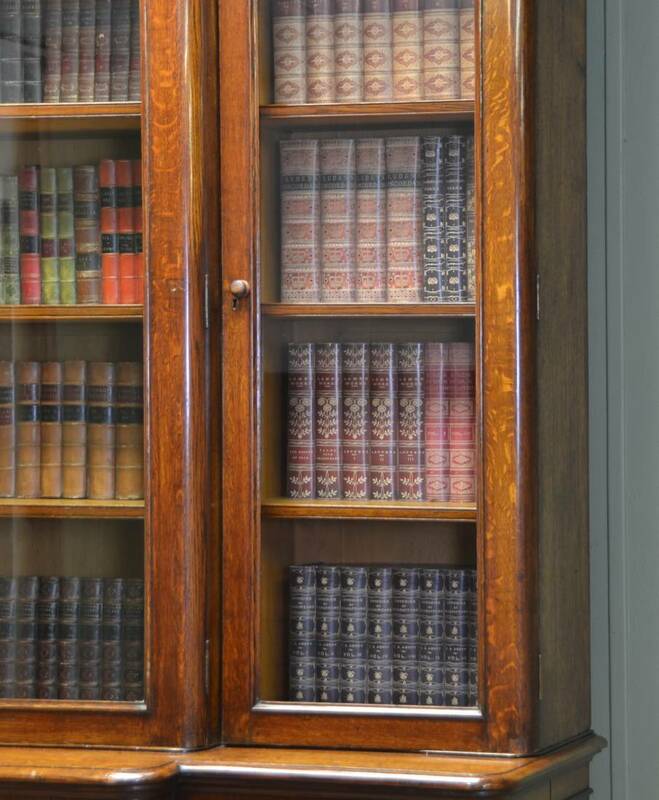 This Large Victorian Oak Antique Break fronted Library Bookcase circa, 1870 has a break fronted moulded cornice above three glazed doors with moulded edges. 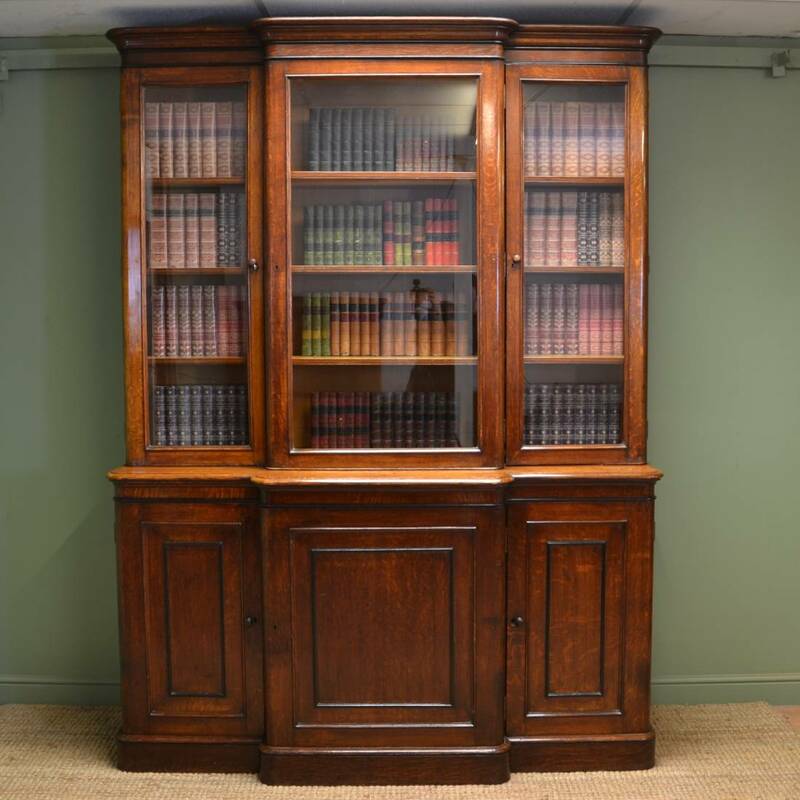 This Large Victorian Oak Antique Break fronted Library Bookcase circa, 1870 has a break fronted moulded cornice above three glazed doors with moulded edges. 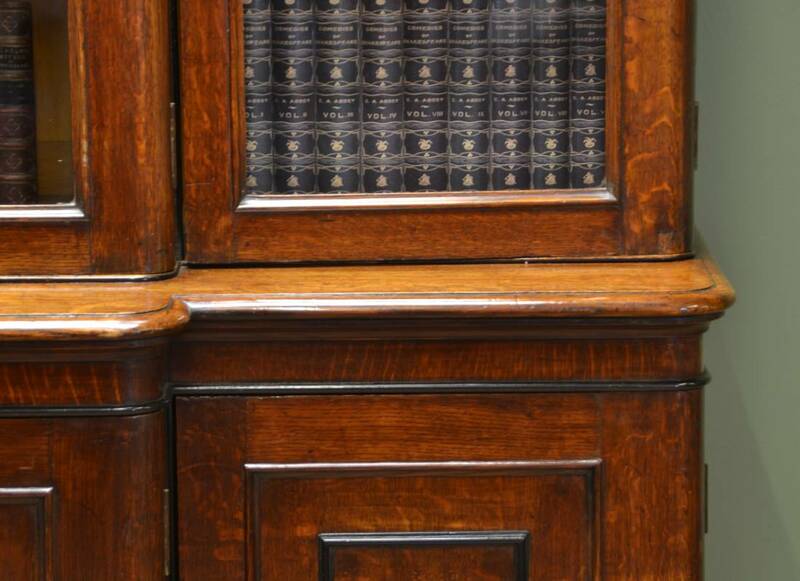 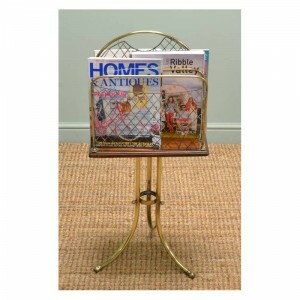 Each section has three adjustable shelves, ideal for storing a large amount of books. 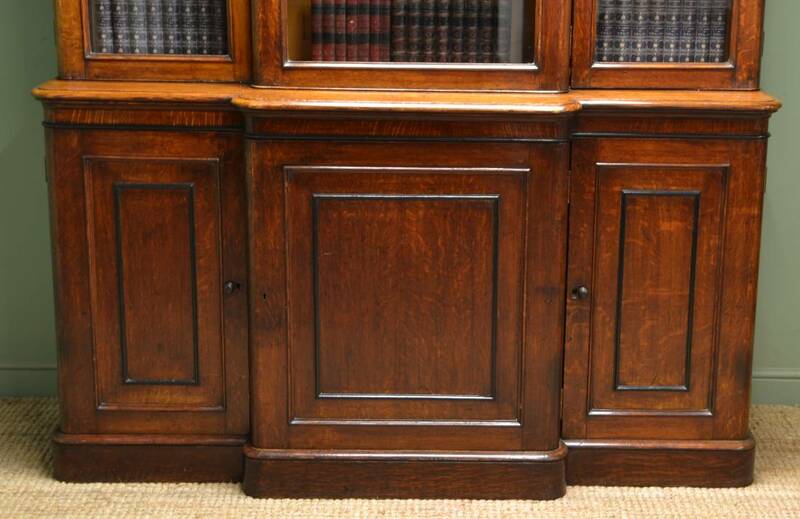 The lower section has a break fronted moulded top above three cupboard doors with moulded edges and turned handles. 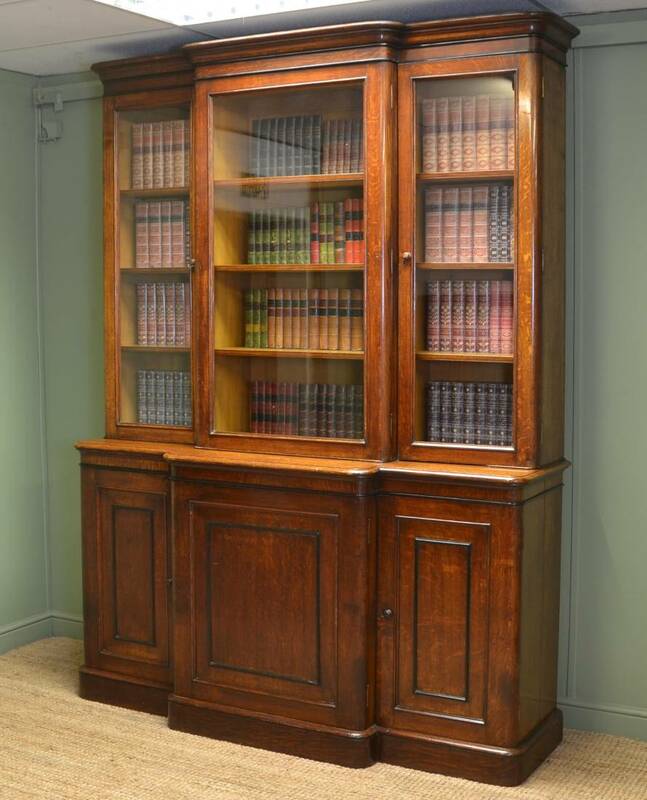 Each interior has one adjustable shelf and this wonderful bookcase stands on a break fronted moulded plinth and also benefits from the original backboards. 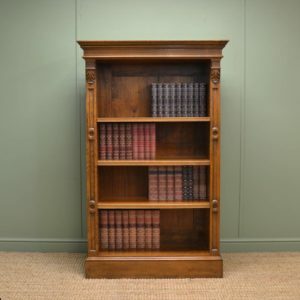 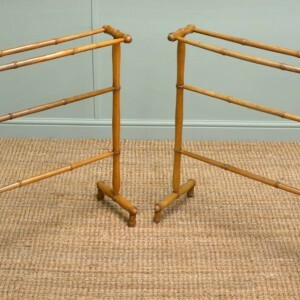 it also splits into three sections for easy removal, the oak has aged to a warm rich shade with a striking grain, good patina, is in very good condition and has been beautifully cleaned using a traditional form of wax finishing. 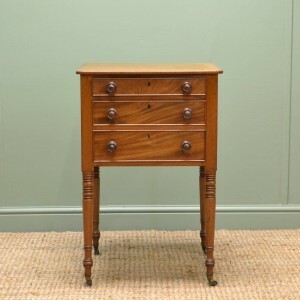 Delivery within mainland England, Scotland and Wales approx £120 + VAT.